As a member of EVCOM (the official trade body for the events and visual communications industry), we were thrilled to be invited to lead an event run especially to benefit its’ members. 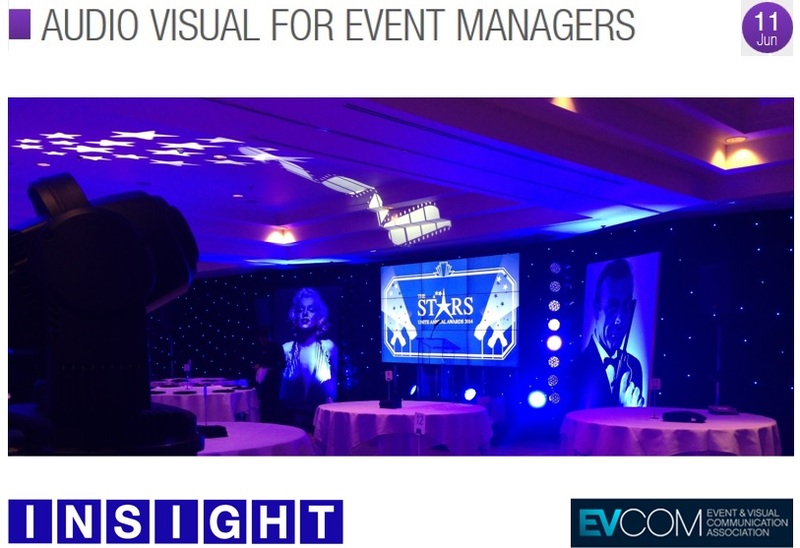 In just a few weeks time, Ian Verge will be running Audio Visual for Event Managers; an invaluable seminar for event professionals and organisers covering the various technical requirements that event managers need to know, at the same time without getting too caught up in the jargon. Drawing on his 30 years experience, and in handy bite-size chunks, Ian will share various ‘golden rules’ of audio-visual for events, equipping delegates with the tools needed to deliver value for money for the client and run exceptional events. • Make you sound professional and knowledgeable to your clients! This article was posted in Blog and tagged audio visual, av, av company, evcom, event industry, event managers, event professionals, eventia, training. Bookmark the permalink. Follow comments with the RSS feed for this post.Comments are closed, but you can leave a trackback: Trackback URL.